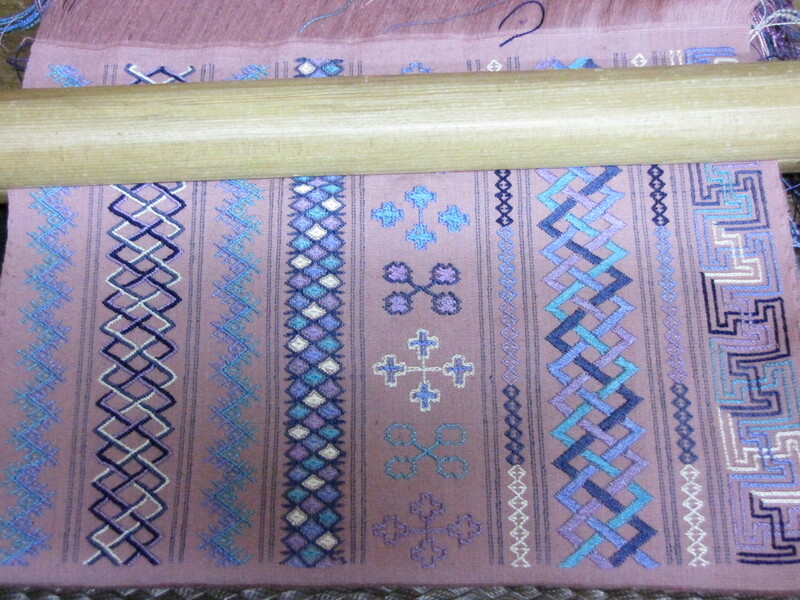 Pieces worked on a backstrap loom are extremely portable. I have seen women on long bus trips travelling with a rolled-up bundle of weaving with the bamboo lengths in place. When they reach the village they are visiting, it only takes about 10 mins to mount their work on a friend or relative’s spare loom. For longer storage, or mailing (such as with my work here), the bamboo lengths are replaced by loops of thread. In this photo, two ties have already replaced bamboo. 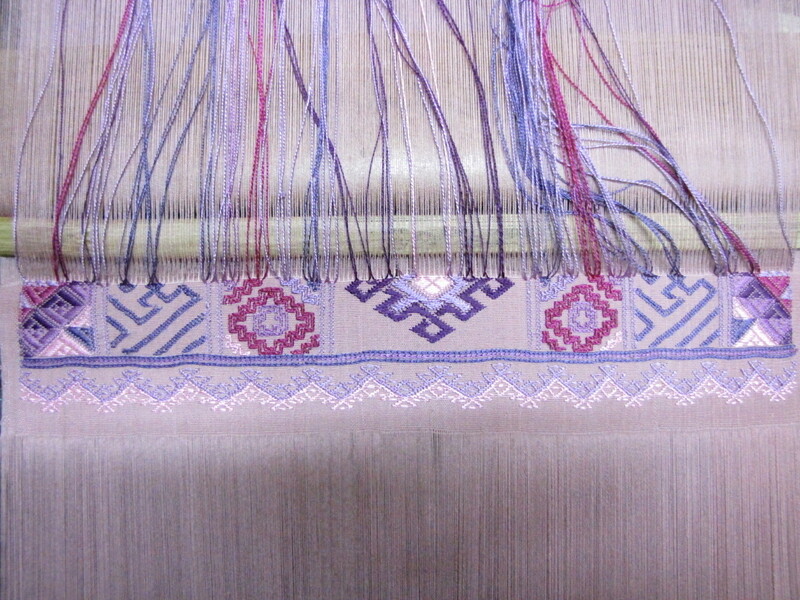 This entry was posted in Bhutanese Techniques, Kushutara and tagged Asian, backstrap loom, Bhutan, ethnic textiles, Kushutara, Textile, weaving by Wendy Garrity. Bookmark the permalink.